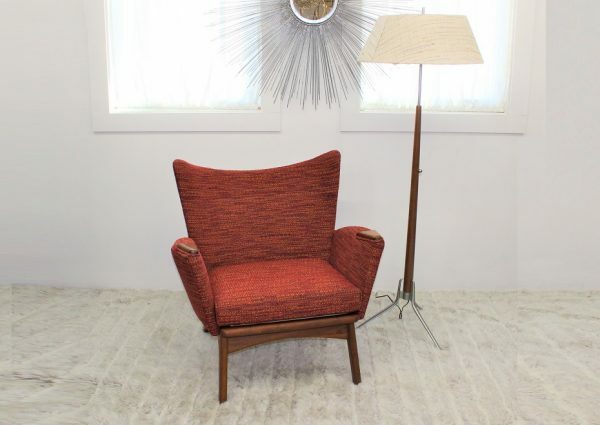 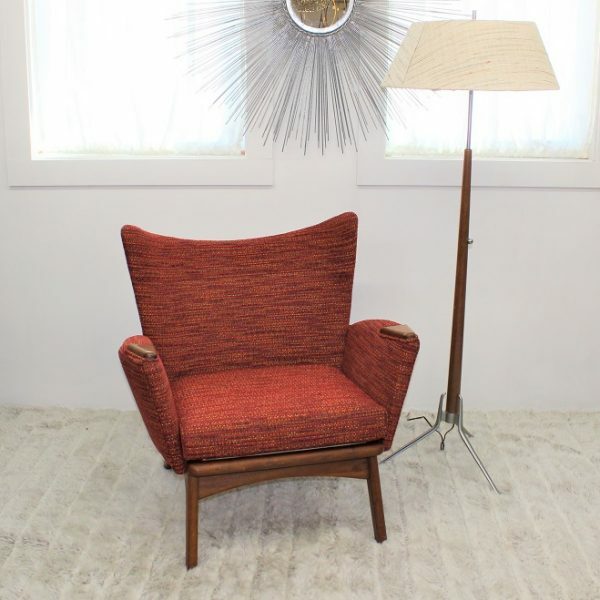 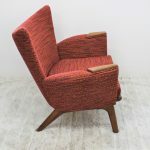 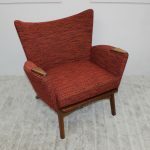 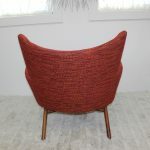 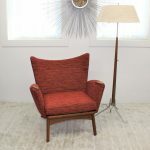 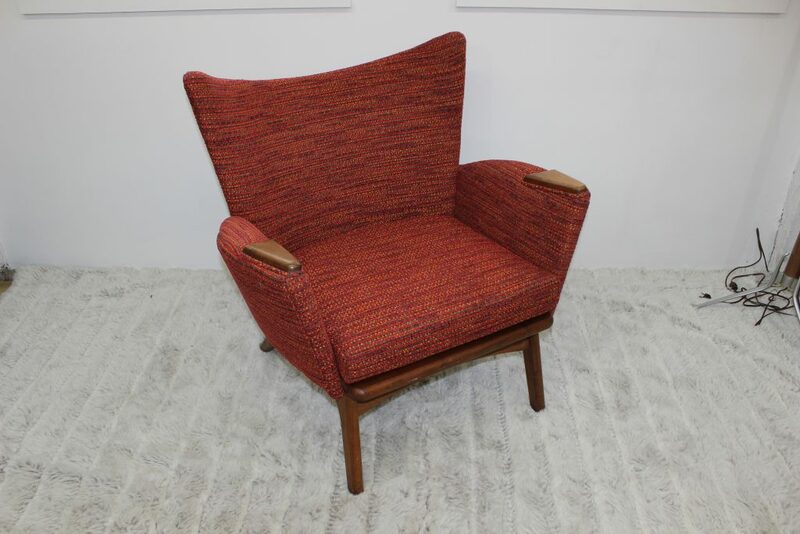 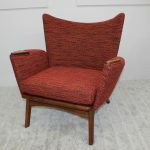 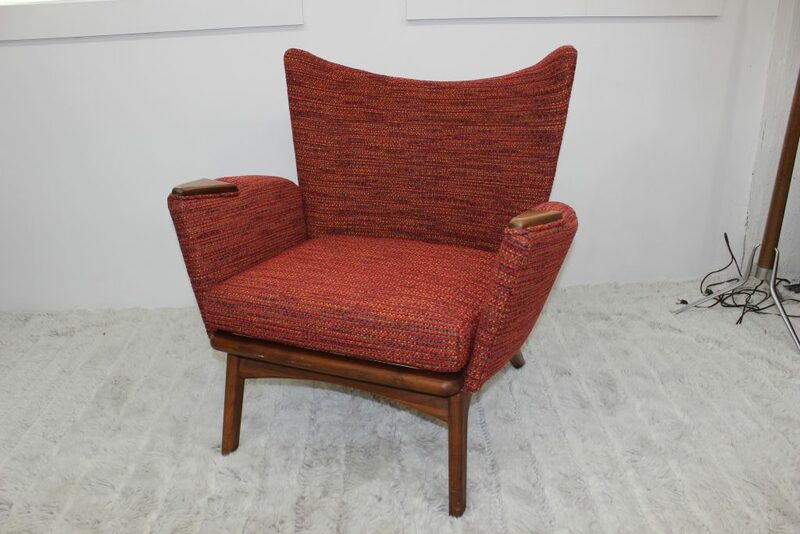 This beautiful Adrian Pearsall small wing back chair comes to you with a beautiful chenille upholstery in tones of red. 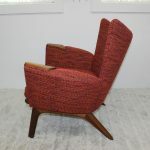 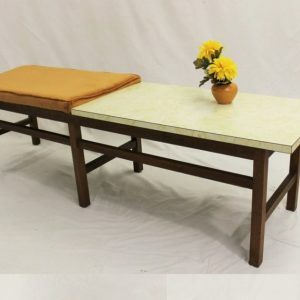 It was manufactured by Craft Associates and it only had one owner since the 1960’s. 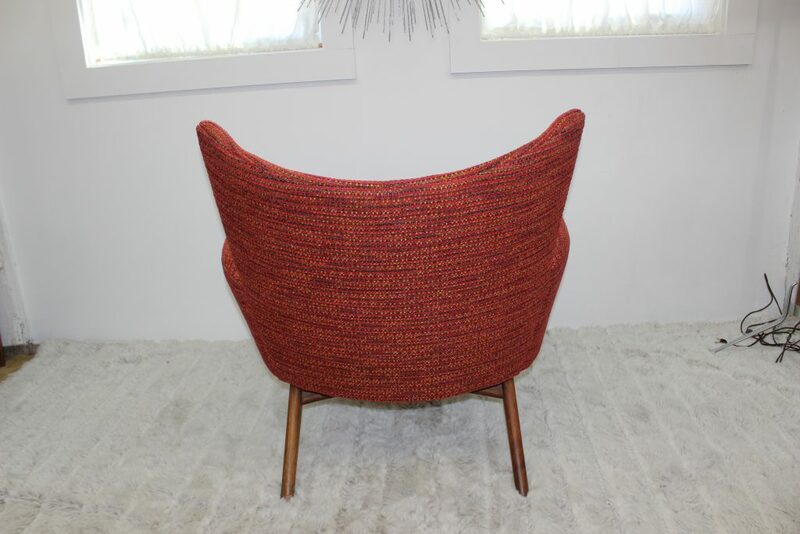 It can now be enjoyed and appreciated by you for many years to come. 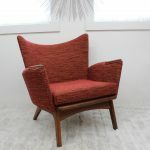 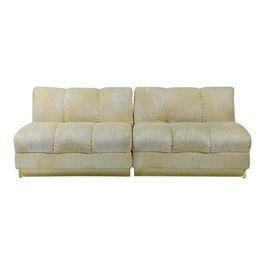 It has been reupholstered inside and out and it is now super comfortable. 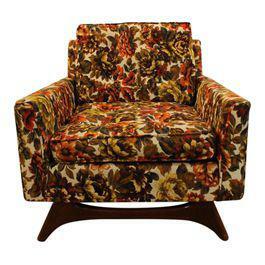 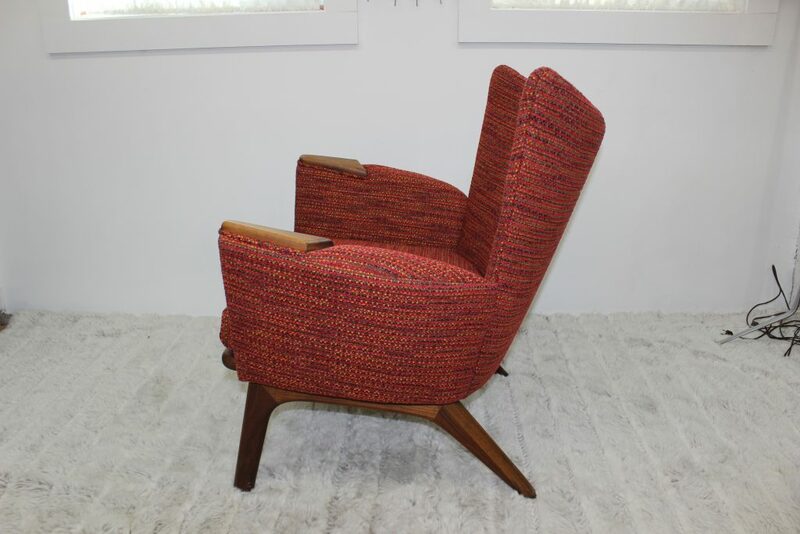 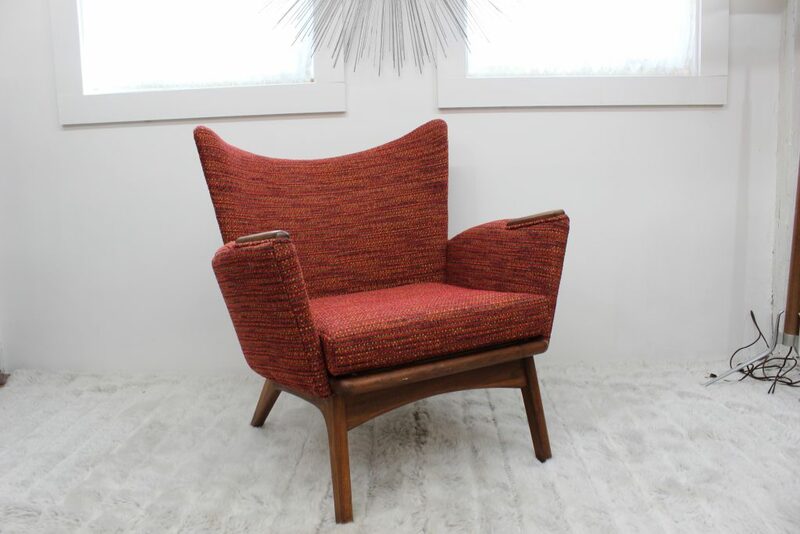 This chair is a great example of the design talent of Adrian Pearsall and of the period that we all love so much. 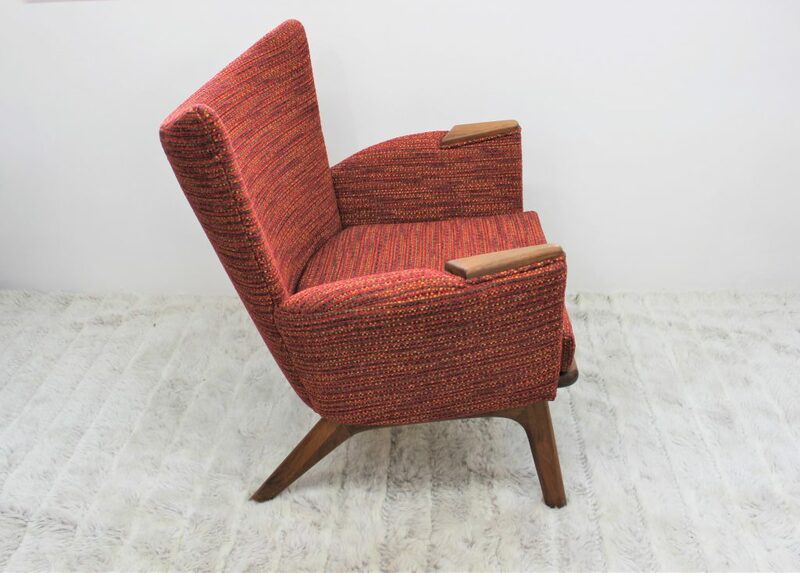 This beautiful Adrian Pearsall chair measures 33″ high at the back-rest, 31″ arm to arm and 17″ to the seat.